This coming summer children will be able to take part in the ECB All Stars Programme at Calverton CC. All girls and boys aged between 5 & 8 are welcome and each registered child will receive a pack of cricket goodies including a cricket bat, ball, backpack, water bottle, personalised shirt and cap to keep, so that they can continue their love of cricket when they go home. All Stars Cricket will provide your child with all of the fundamental skills they need to play cricket through, lively, fun games. It’s a fun first experience of the game of cricket. All Stars Cricket is also fantastic for parents. For an hour a week all mums and dads are invited to get involved and play cricket with their children. We know this is a great way to spend time with your child and create memories that will last a lifetime. Click on the banner above to sign up. The Saturday fixtures for the South Notts Cricket League have been ratified and published. Both the 1st XI's Division A matches and the 2nd XI's Division J games can be viewed either via the fixtures link above or on the calendar page (above), which also gives a map link to all grounds. Pre season matches have also been finalised. There will be 3 games at GLA on Saturday 21st April (Gedling Colliery XI), Saturday 28th April (West Bridgfordians XI) and Sunday 29th April (Colston Bassett XI). The SNCL fixtures commence on Saturday 5th May, the 1st XI away at Carrington and the 2nds at home to Collingham. The Sunday 'Development XI' friendly fixtures are almost complete and will be published shortly. Last nights AGM saw Ryan Evans and Graham Waghorn re-elected as 1st & 2nd team Captains for the upcoming 2018 season. ​The 1st XI will be playing in the top league of the South Notts Cricket League (Division A), whilst the 2nd XI will be playing in Division J. Good luck to both teams for this year. 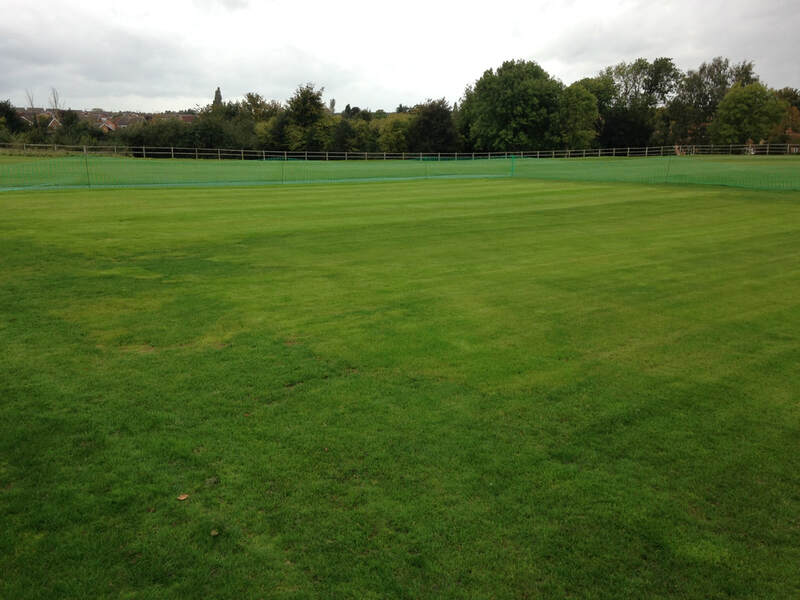 A few weeks hard work by the Ground-staff together with some sunshine & rain has worked wonders. Having been scarified, top dressed, wormed and re-seeded, the square looks like a green velvet blanket as the new seed becomes established. The outfield also looks a picture despite all the recent rain. 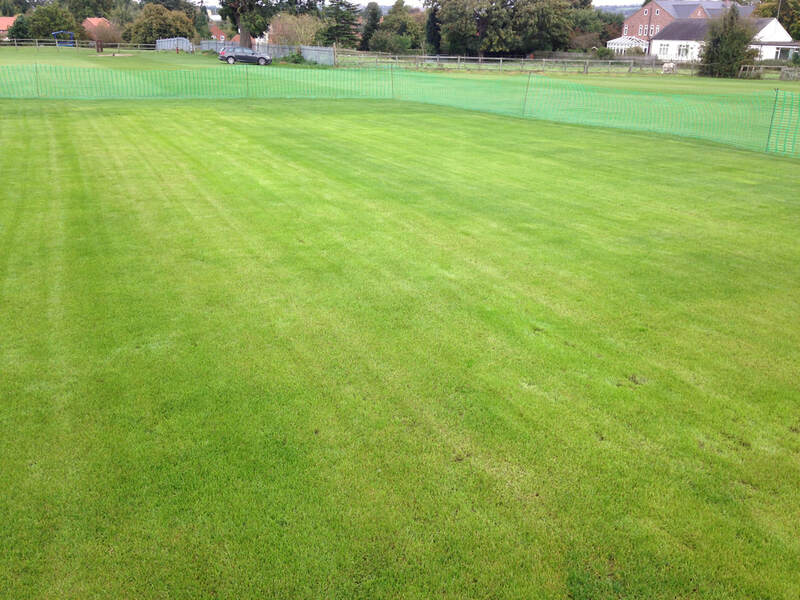 All ready for a winters sleep and continue to be the best wicket in the County in 2018! Captain Waghorn lead his troops from the front, but it wasn't quite enough to see them passed top of the table Madni at GLA. Having first use of the road was certainly agreeable to Wag & Jarrod as they put on over a hundred for the first wicket. However, once Jarrod departed for a well made half century, only James Toogood (29) offered much support to the Captain. By the end of 45 overs, Wag was beginning to creak as the score had reached 191-4, with the Captain responsible for 91 of those runs. Madni's reply also saw the first wicket yield a useful half century opening stand aided by a couple of costly drops in the slips. But both openers fell in quick succession with the total in the fifties giving Calvo hope. But the third wicket added almost another 50 runs and despite taking four further wickets Madni eased home with 5 overs to spare. Relegation is now mathematically confirmed for the Seconds in what has been a difficult season due to (lack of) availability. To say it's not quite happening for the 1st XI at the moment would be somewhat of an understatement. A top of the table clash at Clifton should have provided all the ammunition needed to raise the game, but a woeful performance with the bat saw us hanging on grimly. Clifton batted first with the opening partnership realising 126 before it was broken. The seamers had little joy on a benign pitch, Calvo only coming into the game once the 'Spin Twins' were introduced. Daz & Grimmo took all the wickets that fell between them (except a run out), however a total of 235-6 was certainly competitive. Following on from a splendid tea, Daz & Flea opened up and put on 56 with few alarms. However, once Daz & Flea departed in quick succession, an alarming collapse (even by Calvo proportions) ensued. From 56-0, we lost 7 wickets for just 18 runs as the scoreboard made sorry reading at 74-7. It was now a question of could we muster a batting point or two and hang on for a draw. Grimmo and Kylo edged the score passed 100 before Kyle was bowled by a a ball which kept low. When Kev top edged to mid wicket the cars were being started. 114-9, still 6 shy of a batting point and 13 overs remaining, prospects were bleak. But the Chairman joined Grimmo and managed to stay in one piece (sic) for the next 40 minutes or so as the overs were seen off and the score sneaked by 144 ensuring a second batting point. Not a good day by any stretch, but with Unity losing against Long Eaton promotion is still a possibility. Runs were at a premium at Long Lane as the Seconds travelled to Attenborough. In a game reduced to 40 overs a side, Calverton batted first on a wicket that was difficult to score on and if the ball was hit hard the long outfield soon slowed up the ball. In fact it was the 24th over before the first boundary was hit as the score limped along. Wickets fell at regular intervals and at 57-7 all appeared lost. However, birthday boy 'Poggy' Bateman decided to post his highest score of the season (35*) and with help from Ryder Wyatt and Max Harrison - who hit the biggest six ever seen in the history of cricket, the score reached the dizzy heights of 108. The home side also found scoring difficult with James Toogood, Jarrod Bell & Ethan Wright each taking two wickets a piece. Alas it wasn't to be as Attenborough sneaked home on 109-7. A few weeks ago Carrington racked up over 300 against the 1st XI, they must like facing Calvo's bowling as Saturday they posted 235-6 from just 40 overs. There were few plaudits to take from the bowling effort, although it must be said that Carrington batted very well, particularly Hasnain Nasir who scored a superb century. Calvo's reply never really threatened the target, although credit to Adam Peel (36) and a swashbuckling 38 from James Cairney ensured we wouldn't struggle to reach 160 and maximum batting points. To be fair we never really looked like getting bowled out either and a final total of 180-7 meant 8 points for the draw. Another top of the table clash next week away at Clifton, it's very tight at the top! MOM James Cairney - great entertainment. Kirkby Portland were the visitors to GLA and for a change, seamer friendly conditions were the order of the day. Following on from a weeks rain, the ground was in surprisingly good shape as Calverton won the toss and had no hesitation in bowling. With the match reduced to an 80 overs game, the two Billy's opened up. 26 overs later after two unbroken spells of 13 overs each, KP's innings was in tatters. Billy B can count himself unlucky in a wicketless spell of 0-28, but his miserly spell no doubt contributed to the clatter of wickets at the other end. Billy A's final analysis of 8-45 was amazing and the chance to take all 10 ended as he had bowled all his allotted overs. Portland were bowled out for just 89 in 30 overs - surely that wouldn't be a problem to attain......would it? The reply was advancing comfortably at 60-1. However when Daz departed for a well made 42, the wheels fell off! From 60-1 to 80-6......surely not? Thankfully Callum Williamson kept his head when all around seemed to be losing theirs. Eventually the score was achieved six wickets down and 20+ overs in hand. Back to the top of the table. The next 2 weeks will be pivotal, with matches against Carrington & Clifton. MOM Billy Armstrong - awesome!